"These are really pure and abstract expressions," said executive director David White. Three downtown divas arrive on the up-Island dance scene this weekend. New York choreographers Jodi Melnick, Vicky Shick and Jon Kinzel are performing at the Yard in Chilmark today and tomorrow, June 29 and 30, both performances beginning at 8 p.m.
Ms. Melnick, who currently teaches at Barnard College, has danced with the Twyla Tharp Dance Company, John Jasperse and Trisha Brown to name a few. 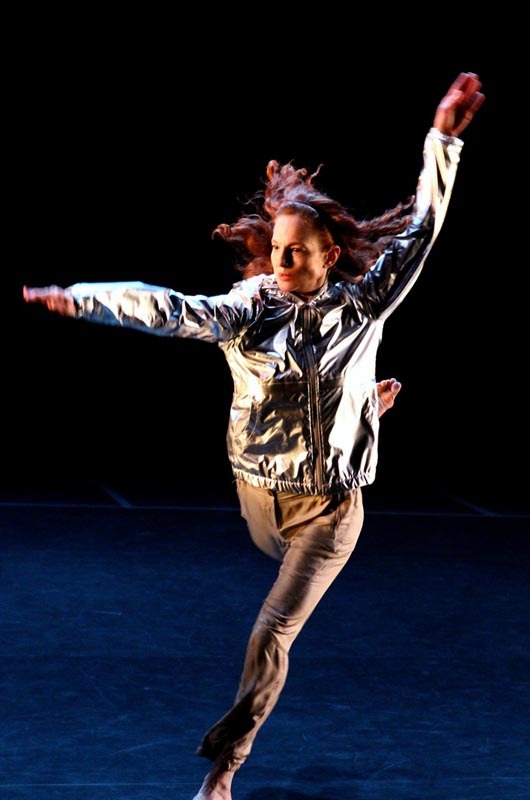 Ms. Shick is considered one of Trisha Brown’s iconic dancers and received a Bessie award during her tenure there, as well as a Guggenheim Foundation Fellow. They are joined by Mr. Kinzel, a dancer and choreographer with Vineyard roots whose mother still lives here. For those concerned about not “getting” modern dance, there’s nothing to get with these dancers. Tickets are $25 and available at dancetheyard.org or at the theatre door.